Children absolutely love magic of all sorts. It's not only fun, but it helps kids improve their self-esteem, hand and eye coordination, public speaking and critical thinking skills. Children will wow their audiences and even amaze themselves! This set contains its own production table. Make things vanish and appear! Float any object with the Secret Levitation Gadget. The Wonder Deck allows you to turn every card in a deck to the spectator's chosen card! Stab a pen through an ordinary dollar bill - remove the pen and there is no hole in the bill! Make a solid ring penetrate off of a lace! Other great effects include the Box of Mystery, Magic Bubbles, Bite-Out Cookie and much more! Over 350 great tricks! Instructional video download included! 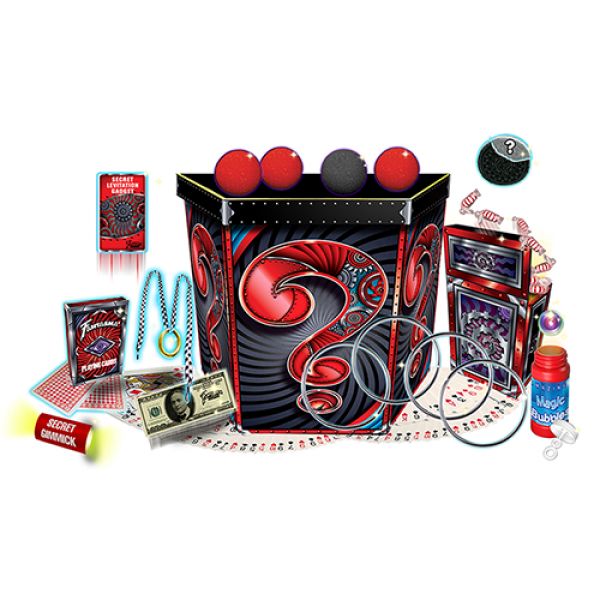 Fantasma Toys offers professional-quality, innovative magic products. Fantasma loves toys and loves magic and that's what's at the heart of the business. Fantasma Magic tricks are known to be easy to perform, yet very, very entertaining. 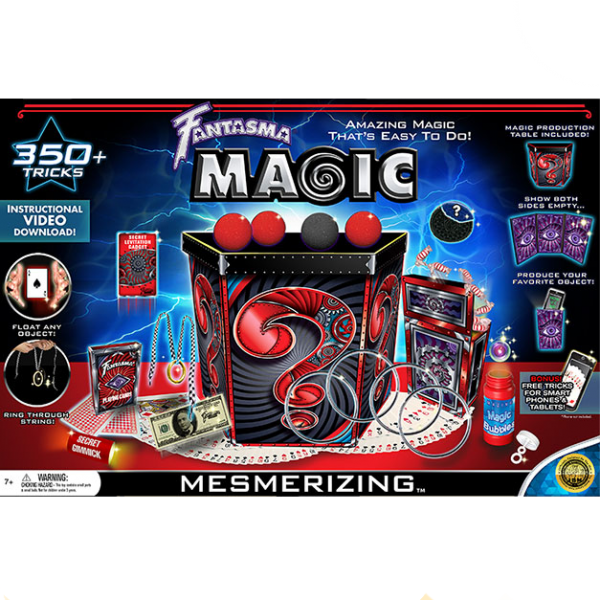 Fantasma is honored that they are the only toy company endorsed by the International Brotherhood of Magicians, the world's largest professional magicians' organization. Fantasma magic is the only magic product on the market today to carry this seal. Fantasma Toys is considered to be the #1 brand worldwide in the magic category.